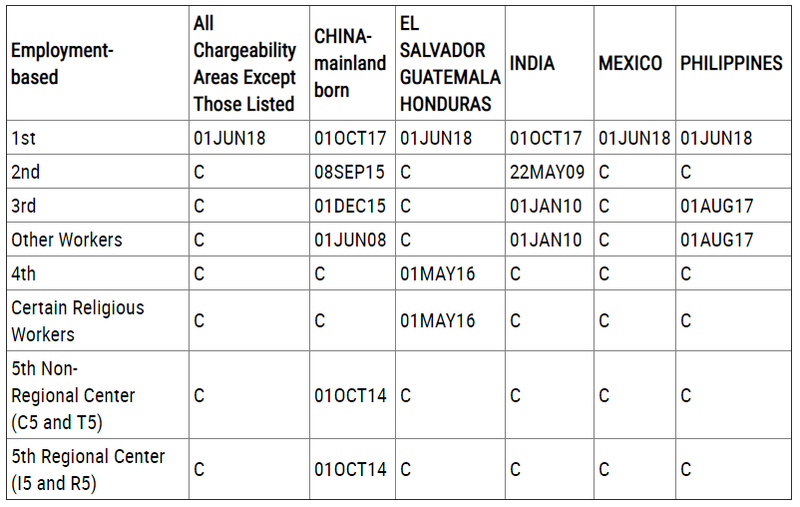 This month, all family based applicants should refer to the “Dates for Filing” chart in the Department of State Visa Bulletin (below). The listing of a date for any category indicates that the category is oversubscribed; “C” means current, or authorized for issuance to all qualified applicants; Please note that only applicants with a priority date which is earlier than the listed date may file their application (Department of State, “Visa Bulletin for December 2018”). For December 2018, employment based applicants should refer to the “Dates for Filing” chart. 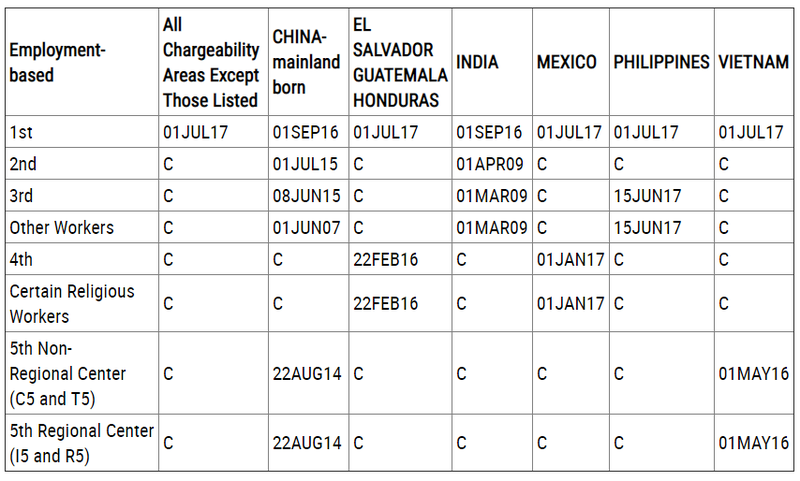 The listing of a date for any class indicates that the class is oversubscribed; “C” means current, i.e., numbers are authorized for issuance to all qualified applicants; Please note that only applicants whose priority date is earlier than the final action date listed below may apply (Department of State, “Visa Bulletin for December 2018”). Please note: While the above charts determine when applications may be filed, your green card application will not be approved unless your priority date is current according to the “Final Action Date” chart. To see if your application is eligible for approval, please refer to the final action date charts below.